A civil trial involving a school bus driver accused of a fatal Brockton, Massachusetts pedestrian accident is under way in Boston, according to the Enterprise News. 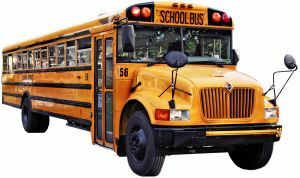 Our Boston personal injury lawyers have reported here before that the vast majority of people killed in Massachusetts school bus accidents are pedestrians, typically a student who is boarding or de-boarding the bus. A criminal charge of motor vehicle homicide by negligent operation was thrown out of Brockton District Court in 2008. A 46-year-old disabled woman was killed in the 2007 accident. A Massachusetts wrongful death lawsuit was filed last year by the victim’s sister against the bus driver and First Student, Inc., the busing company. The victim suffered from Parkinson’s disease and osteoporosis. She was using a walker to cross Belmont Street when she was hit by the bus as it took a right turn from Manomet Street. The bus contained three students and a bus monitor at the time of the crash. There were no reports of other injuries. While thousands are injured in school bus accidents each year, fatalities are a rarer occurrence. An average of just 19 fatalities are reported in connection with school bus accidents each year, according to the National Highway Traffic Safety Administration. About 14 of those involve pedestrians. If you have been injured in a Boston pedestrian accident or Massachusetts school bus accident, contact Boston Injury Attorney Jeffrey S. Glassman for a free and confidential appointment to discuss your rights. Call 877-617-5333.